"Students' spiritual, moral, social and cultural development is supported exceptionally well, contributing greatly to their success." Invicta Grammar School were extremely pleased to receive an Outstanding Rating from Ofsted following their inspection in September 2012. Invicta was rated as Outstanding in all categories - Achievement of Pupils, Quality of Teaching, Behaviour and Safety of Pupils and Leadership and Management, giving it an Outstanding for Overall Effectiveness. This is a fantastic achievement and one of which we are very proud; particularly as Invicta is the first school in Kent to receive Outstanding accreditation under the new Ofsted Framework. Click Ofsted - Invicta Grammar School. Click Department for Education School Performance Information. 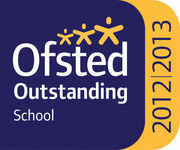 Click The Good Schools Guide to view our entry.